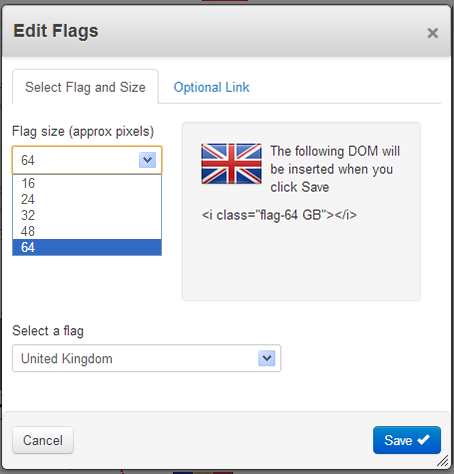 The Flags block included with this addon. A snippet of html inserted in a regular content block or html block (using the css included with this addon). 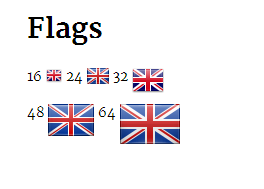 A [%FLAG symbol%] for use with the Magic Data. 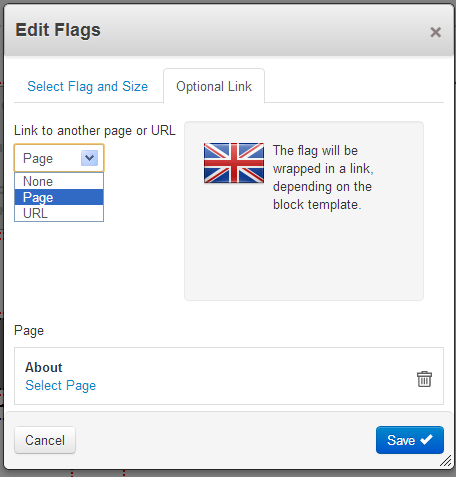 Flags can optionally link to another page on your site or an external URL. 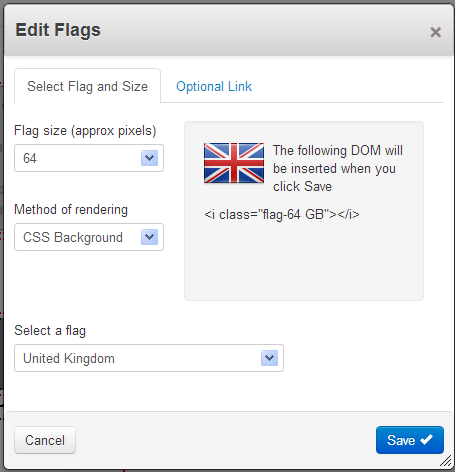 National flags and a few more are provided in a range of sizes from 16 to 64 pixels. 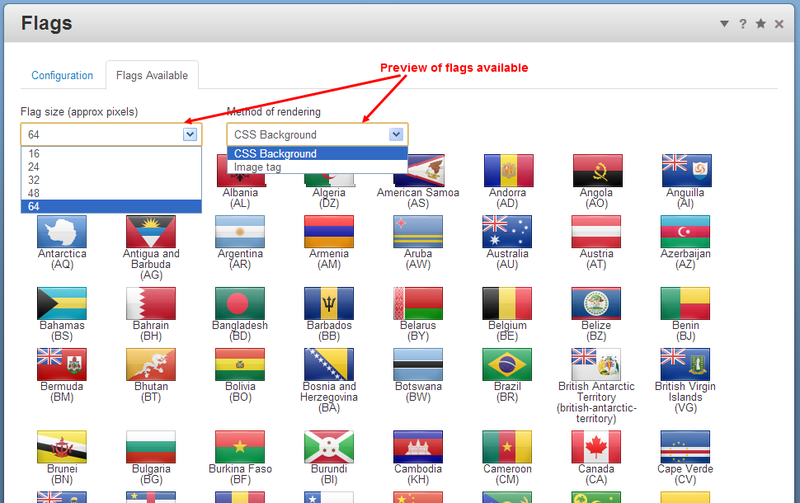 Get flags for free when you purchase the Country State manager. 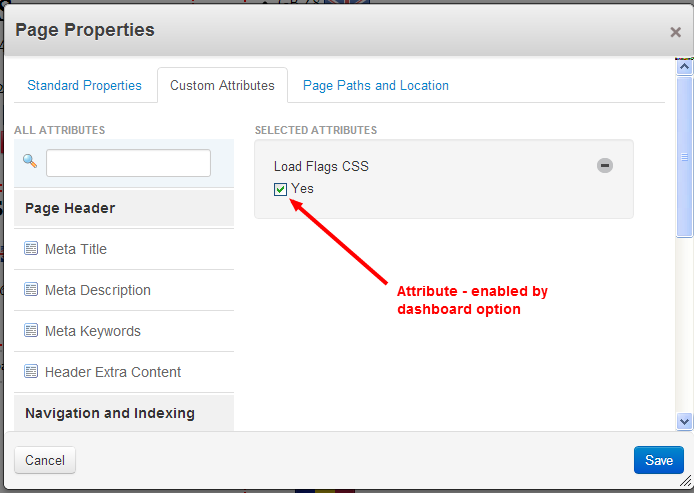 From version 1.1 this addon is compatible with php7. To update a site to php7 you will need to make core updates (at time of writing only on github and not released). 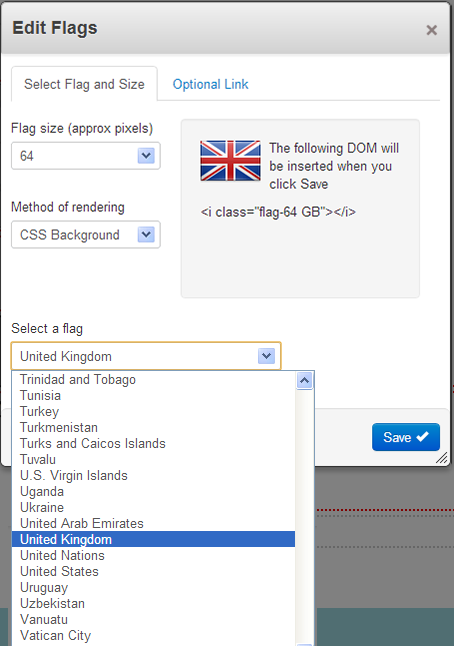 You will also need to ensure that other addon packages are php7 compatible.